The KRS03 is our new, improved regional and P&D all-position rib tire. 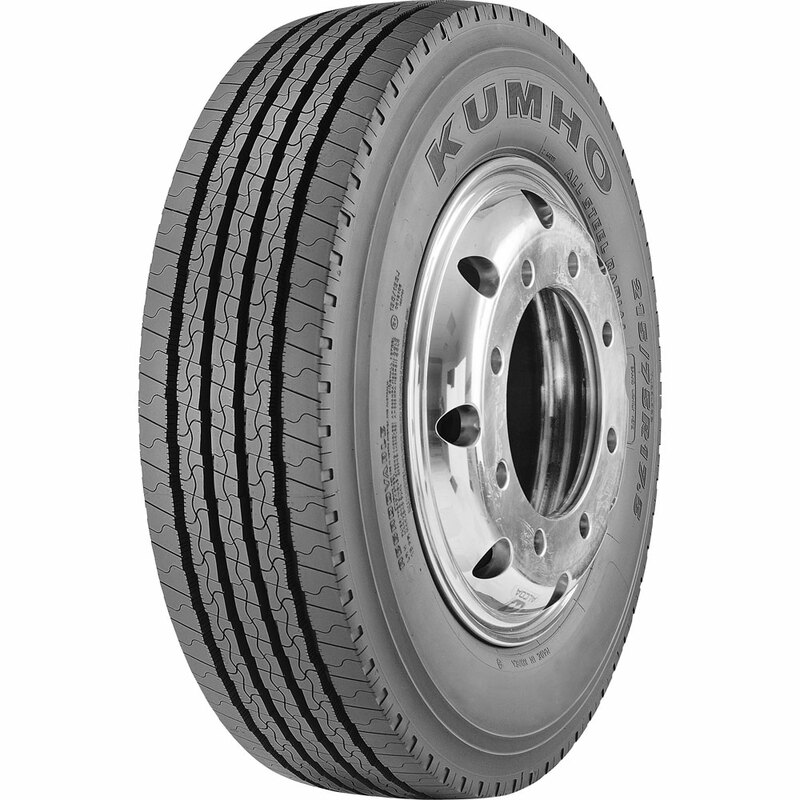 This tire is intended for small and medium duty trucks using 17.5", 19.5" and 22.5" tires. Wide, deep tread improves cost per mile and stability and handling. Stone ejector in grooves improves casing durability by preventing stone drilling. Lateral multi-sipes reduce the progress of irregular wear. S-shaped sipes in straight ribs improve hydroplaning resistance and wet traction. Variable geometry groove edges prevent stone holding and enhance traction. Primarily designed as a steer or trailer tire; however, it can be used on drive if necessary.